You have a much better bandwidth then mine. What kind of HDMI converter do you use? its the latest marquee moome card running straight out of the DAC bypassing filters contrast chip and output buffer, and the image is 1080P 72hz 195Mhz. Post some more screenies Nidi.. looked great the single one you posted over at the competition site. I recapped the LVPS and but I didn't see any further improvements. Anyway the LVPS will outlive the whole projector now I hope. What I forgot to mention was that after Gjaki's upgrade I didn't see any blooming anymore. Now maybe I have to re-adjust the G2 and drive settings after his mods but I'll do that at the end. I'm now working on the last part of the chain: the moome box. I did a quick measurement of the rise time. See attached pictures. Unfortunately I had only a 50 ohm termination so I'll redo the measurements tomorrow with the correct termination. The measurements are done on a 500Mhz bandwidth Tektronics scope that was standing in one of our labs. 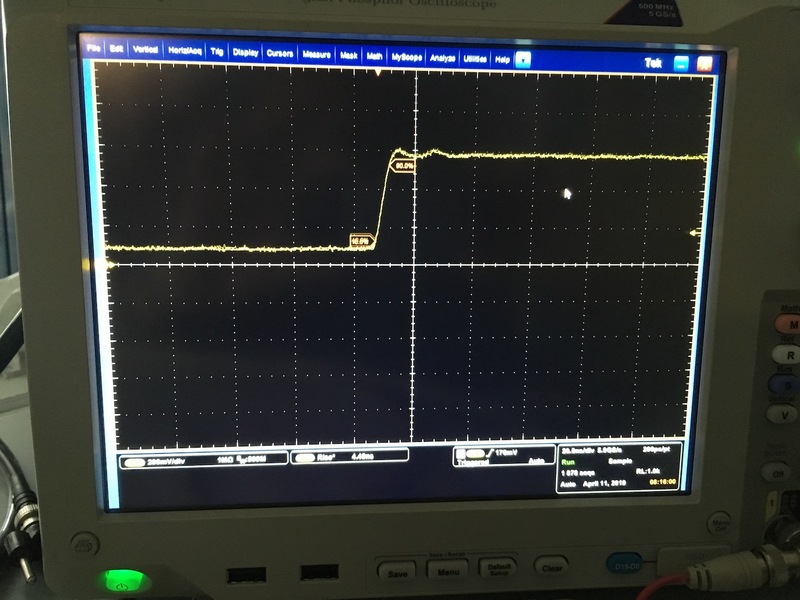 I took a VGA to 5 BNC breakout cable with the red channel connected directly to the scope with a 50 ohm termination. In the pictures you have the test pattern I used, the scope settings and the rise time with 1Mohm termination and 50 ohm Termination. With 50 Ohm the rise time is about 4.9ns. I think you did the measurement right. Don't care about the 50 Ohm load, properly terminating at 75 Ohm wouldn't change the rise time. 4.9ns rise time is pretty bad by the way, that translates to ~70MHz bandwidth. also note that the rise times are propagates: so if you have a source (signal) with rise time tr1 and a system with self rise time tr2 then at the output the accumulated rise time will be tr3=sqrt(tr1^2+tr2^2). Note: All these applies to your your signal measurements, there tr3 was 4.9ns, and the 500MHz scope should have a self rise time of 0.75ns, doing the math backwards gives a 4.83ns theoretical signal rise time, not much difference, since the 500MHz bandwidth of the scope is much higher than the signal of interest, but generally if the measured signal's rise time gets close to the measuring system's own rise time this effect is more considerable. This is why it is advised to have your measuring system's own bandwidth 3-5 times more than the signal of interest. Anyway, a well behaving stock VNB (like yours) usualy have self rise time around 3ns, my daughterboard has a self rise time about 1.5ns, that results in approx. 3.4ns system rise time. To properly exploit this you'd need a source with <2ns self rise time. As promised the rise time with 75ohm just for completeness. with your formulas we get around 80Mhz bandwidth. So now it's time to find the outputs of the DAC on the moome box and see if we can connect that into the projector. We're no longer offering Mods. There are other options available from other sources these days. We are still supporting any previous work. I'm working on it. i first want to draw the schematic from the PCB in order to see where to bypass since there is also the gamma and contrast circuit involved. Good idea to pluck the circuit, where you'll be able to draw out a diagram first. Because the idea of bypassing the filters is not a simple one with some DAC's. The filtering varies from a simple low pass feritte bead to a more complex Video Reconstruction Filter networks that can involve multiples of feritte beads and capacitors. And with the more complex, there is no simple means to bypass. And when bypassing, you have to remove all of the caps and beads, because the "network" itself is tuned. And in most cases with this kind out network, there will be an over emphasis of the high frequencies. meaning the DAC also boost the upper range of its frequency window. When simple bypassing this using a jumper, you induce that boosted high frequency into the video chain. Which also means you're adding a bit of high frequency distortion, that some seem to like, because it tends to appear as a slightly sharper image, when its really a distortion. That's why it's important to know what type of output you're dealing with. You may be able to see this on your scope. On the other hand, you may create the problem of inducing very high frequencies in the video chain that are not commonly seen as sharpness, but still plays out as a noise (hash). In this case, filtering is very important, because the higher frequency noise though not easily seen does create a problem. On the Moome Marquee cards, it requires a simple low-pass bead. This beads purpose is to remove those higher frequencies about the required video frequency band. It's really needed on the Marquee Moome cards, with the exception being when you isolate the power rails of the DAC, that is that a good DAC will always have a separate Analog +/- and Digital +/-. The isolation require that you either decouple the rails using beads, inductors, caps. Or provide an independent regulator for both Digital/Analog supply. And in this case, the ground is also isolated. This form of isolating is done to lower or prevent the high frequency processing from getting into the analog section of the DAC via sharing the same coupled power rails and ground. I'm only familiar with the DAC's Moome uses in the Sony and Marquee, but have no idea what's going on the external you're using. But would suggest to you to see what type of filtering is being used, whereas if a simple circuit or more complex. If more complex you'll have to understand the added sharpness is most likely distortion because of high frequency boosting. If a simple solution, the same would apply, but it's not as bad with the more complex if you bypass, but it's still will induce noise into the chain. Those filters serve a real purpose, though most designs could use a more defined approach to suppressing the noise. That's clearly a single feritte bead being used as a low pass filter. That is the least complicated filtering method and by simple jumping the three beads, you should get good results. But I would still scope it at some point to see if there is any overshoot on the video. 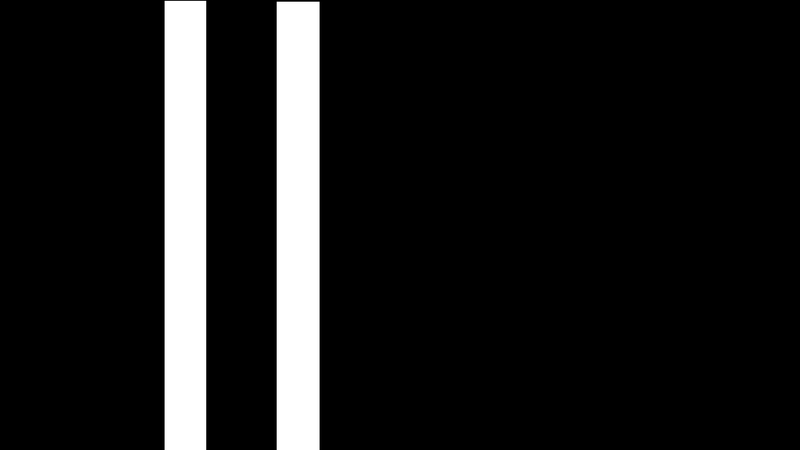 Post back your before and after SMPTE pattern images. But if it is really using the THS8200 DAC then, no high hopes, since that DAC has 3.5ns output rise time specs. Good point. But his question was dealing with jumping the filters, which was my focus. Are you sure of it using the THS8200, that could be a 1280X1024 at best DAC? No I'm not sure about that, but its an 11 bit dac with 80 pins housing and I don't find so many dac's with so many pins. On top of that the output pins at least correspond with the PCB. I tried to bypass the bead of the green channel with a short wire (4mm) across the bead but that didn't change anything on the screen at least. I couldn't check it on the scope today. Now I feel ripped off paying 240$ for a so so dac. I tried also bypassing the complete amplifier section. I took out the bread FB8 and R2 and connected from R65 straight to pin 2 of the VGA connector. No change in image. absolutly nothing not in brightness not in sharpness. I guess i have to find another dac.